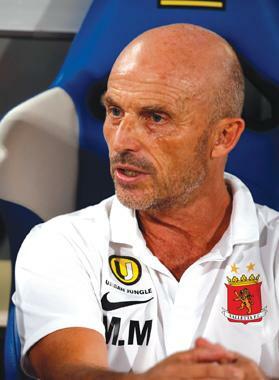 Mark Miller is making a return to coaching after taking charge of Qormi. Mark Miller has reached a verbal agreement to take over as Qormi coach until the end of the season. The appointment of Miller had been widely anticipated after the experienced mentor was ear-marked by club president Redeno Apap as the no.1 candidate to succeed Josef Mansueto. Mansueto stepped down from his post after Saturday’s 1-0 defeat to derby rivals Żebbuġ Rangers extended Qormi’s winless run in the league to 12 games. Miller had been out of work since his contract with champions Valletta expired at the end of last season but the Englishman is now hoping to relaunch his career with Qormi who are fighting against relegation. “There is a big challenge at Qormi,” Miller said of his decision to take charge of a team that has descended to the bottom of the standings after their dismal run in the championship. “I’m trying to improve things in the short period. “The first important thing is to see that the players implement my ideas. “It’s a difficult situation I’m coming into as it’s quite late in the season and I’ve not been able to bring any of my players. Qormi have tweaked their squad in the winter transfer window. Argentine defender Mauricio Mazzetti has joined Birkirkara and Nigerian winger Frank Temile completed a deadline-day move to Naxxar Lions on Monday. Nigerian Albert Bruce also signed for Naxxar Lions last month while Brazilian midfielder Anderson left the club to return home. Qormi have signed a host of new players to replace the ones who left, most notably winger Leighton Grech and Spanish defender Alejandro Mendoza, both from Birkirkara, Swedish centre-half Billy Berntsson and Brazilian midfielder Marcelinho. Miller, who has yet to put pen to paper, conducted his first training session at Qormi, yesterday evening.